The weather has been a bit up and down, but it's June now so it's summer, right? I don't care if it's 60 degrees and raining, it's the season of BBQs, potlucks, picnics, and general eating outdoorsness (totally a word). The question is, what do you bring to such occasions? Meat? Salad? Chips? Beer? All of the above? Well, you can't really go wrong with any of those... but my go to for summer sharing is this tomato tart. It works all summer, because tomatoes. Everyone loves it, because pastry. It's perfect for people to snack on while they wait for the grill to get going, it's easy enough to transport, and you can eat it hot or cold (though I'd recommend hot). I also love this because it's simple and easy (my favorite kind of summer food). You don't need a knife or fork to eat it, just a nice beer or a chilled glass of wine and you're all set to enjoy a beautiful summer evening. Preheat oven to 400F. 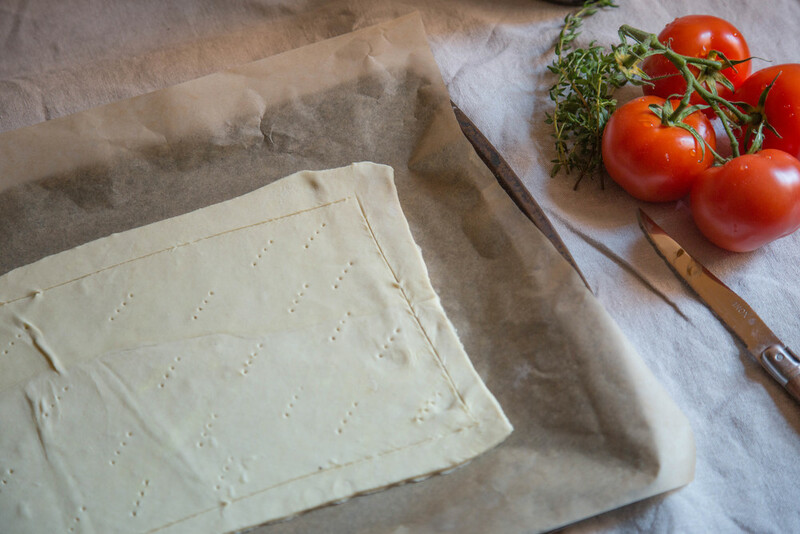 Roll out puff pasty on a baking sheet lined with parchment and trim edges to form a neat rectangle (or not, whatever). With a sharp knife, score the pastry about 1/2 an inch from the edge on all sides. With a fork, prick the middle section of the pastry multiple times. 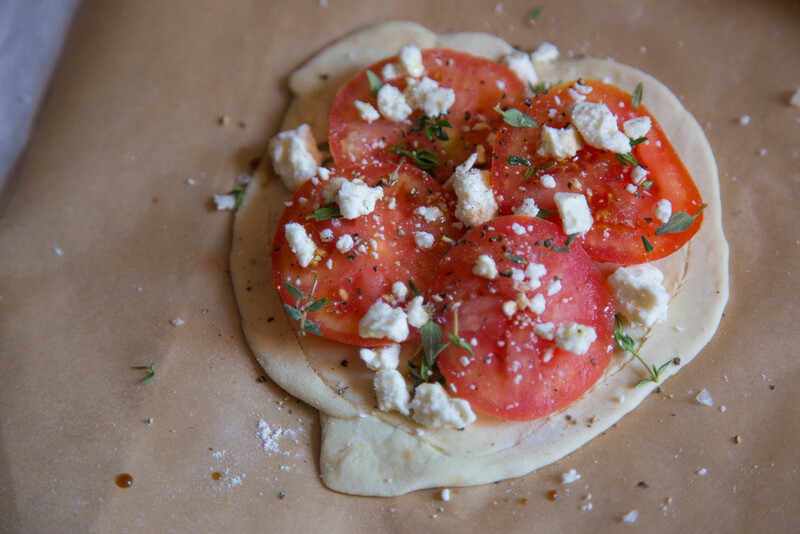 Thinly slice the tomatoes and arrange in the middle section of the pastry. 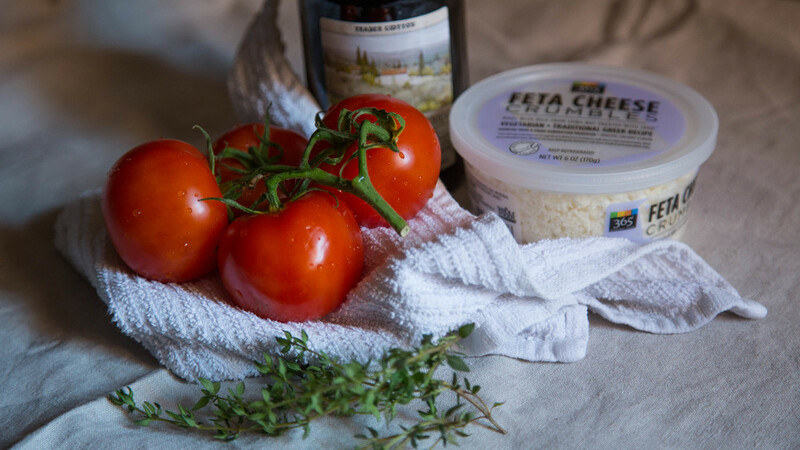 Crumble and scatter the feta over the tomatoes. Remove thyme leaves from their stems and scatter over the tomatoes. Drizzle with balsamic vinegar and season with salt and pepper. Bake in the oven for 25 minutes or until pasty is golden brown and crispy. Remove from oven and place on cooling rack before cutting into slices.